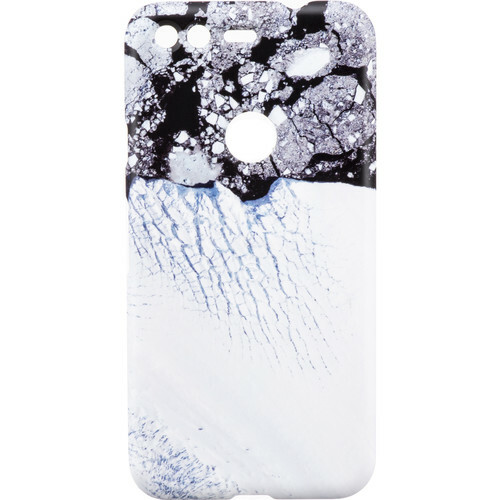 Show off a stunning view of the Earth with this Live Case for Pixel 1 from Google. This case features a wrap-around image that was taken from Google Earth, of an actual location on the planet. This case showcases a glacier section and the chilling waters off of Antarctica. The exact coordinates are on the interior of the case, so you can look it up for yourself in Google Earth. The hard-shell case is designed to give you access to all of the Pixel 1 buttons and camera, and a corresponding wallpaper can be downloaded from Google for free to give you graphical symmetry from the front to the back. Box Dimensions (LxWxH) 8.3 x 4.6 x 1.05"
Is this for Pixel or Pixel XL?